Drivers could be offered up to £3,500 for scrapping their diesel vehicles and replacing them with more eco-friendly models. 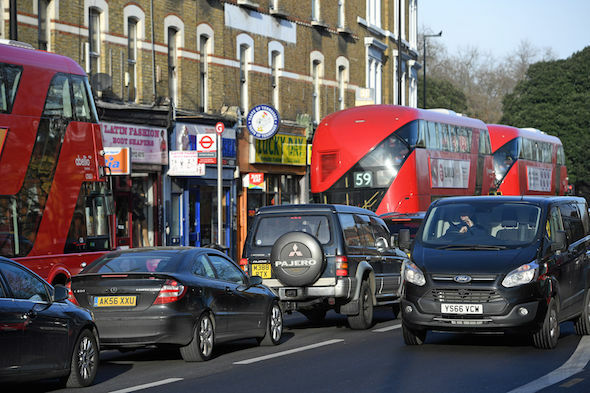 Mayor of London Sadiq Khan has called for a diesel scrappage fund following the issue of a 'very high' air pollution warning in the Capital last month. The warning came under a new alert system, and such was the level of pollution that residents were advised not to go outside unnecessarily. Under Khan's diesel scrappage fund, as many as 200,000 polluting vehicles could be removed from London's roads. This would consist of up to 70,000 van and minibus drivers receiving £3,500 to buy greener models, while low-income households would be handed £2,000 each towards replacing 130,000 diesel cars. A thousand pounds would be offered to scrap the oldest taxis. In total, the scheme would cost £515million and result in an estimated 40 per cent reduction in vehicular nitrogen oxide emissions in London. While the scheme is currently proposed for London alone, Khan said that it could eventually be introduced countrywide. At the same time, he is also proposing that car tax system be redesigned to remove any incentives to buy a diesel car. "The toxic state of our air leaves us with no choice but to rid our city of the most polluting diesel vehicles," he is reported to have said. "It is shocking that nearly half of new car sales in the UK are still diesel vehicles and the national system of vehicle excise duty still incentivises motorists to buy these polluting cars. "I'm urging government to immediately review this policy, and today I've delivered a detailed report on how it can deliver an effective national diesel scrappage fund. One that both fairly compensates motorists and rapidly helps clean up our filthy air."